Appointed CEO of Porsche at just 32, Kevin Gaskell was credited with transforming the iconic brand from near bankruptcy to the UK’s most profitable importer. Kevin then went onto become CEO for BMW, before founding carsdirect.com in 2000. In 2001 he became group CEO of EurotaxGlass’s Group AG, Switzerland, where in 2007 he led a €500M MBO. 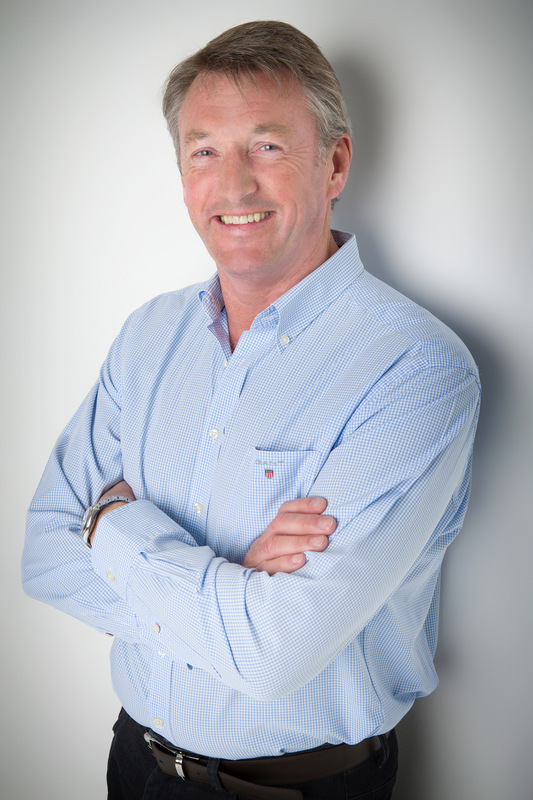 Since then Kevin has chaired over half a dozen exciting brands, from a technology business ranked the “ the 7th most innovative company in the world" to a gardening centre. Oh, and he’s also climbed the world's highest mountains, walked unsupported to the North and South Poles and played international cricket! With such an astonishing list of achievements, we met with Kevin to uncover the fundamental principles that have enabled him to achieve his goals time and time again. In particular, we were fascinated about his approach to leadership and his ability to get the most out of the people around him. Is there one characteristic that all great leaders share? Leaders come in all shapes and sizes. Some charismatic, some introvert. However, the one thing they share is clarity of vision and the ability to take a structured approach to making that vision a reality. What’s the first step to achieving this clarity of vision? I first tell people to forget today’s reality. Let’s instead dream of what the business will one day become. People find it difficult to see past the challenges of the moment, but only when you push these to one side can you see the full potential of your vision. How important is it for the vision to be documented? It’s essential. It should be on just one page for everyone to see, along with the steps required to make that happen. Is leadership a quality you look for in every member of the team, or only for certain roles? Everyone should want to make a difference and everyone should want to lead their part of the business, no matter how great or small. I firmly believe that people are amazing and if they’re given the opportunity to lead something they care about then they will. If they choose not to then clearly they don’t belong in the team and need to be removed. That’s not to say it makes them a bad person, but clearly it isn’t their dream and they should go off and find the thing that really matters to them. I don’t think deep technical understanding is necessary. It’s important that you’re able to assimilate information quickly and you’ve got to have a willingness to learn, but I regularly appoint people in roles where they have only minimal existing technical expertise. Great leaders have a highly transferable skill set and If they’re right for the position then they’ll find the time to learn the details once they’ve started. Can leadership qualities be learnt and, if so, what are the most important skills a person needs to develop? Communication – Some people are born with a natural charisma, but even those who aren’t can learn to communicate effectively. It’s really all about being able to talk on the same level as others. My good friend calls it the “10 up and 10 down rule” where she always tries to employ people who can move either 10 layers up or 10 layers down an organisation and still hold a meaningful conversation. Humility – Not only does humility enable you to communicate more effectively with people, but it will also make it easier for you to delegate as much of your role as possible, which should be one of your primary goals as leader. I often say that it’s not about the authority you have, it’s about the authority you give away. Time management – as leader you are responsible for so much that if you are not in control of your time then things will simply fall apart. For me, it has always come down to prioritisation. I need to always be clear on what the single most important thing is for the development of the company, and ensure that it gets my attention first. Far too many CEO’s allow themselves to be led by the latest email in their inbox! Reading – I am constantly devouring management books. Sometimes they reinforce what we already know but often they can open our mind to something completely new. Books I’ve recently read that I’d highly recommend include Multipliers by Liz Wiseman and Greg McKeown and It’s Your Ship by Captain D Michael Abrashoff.